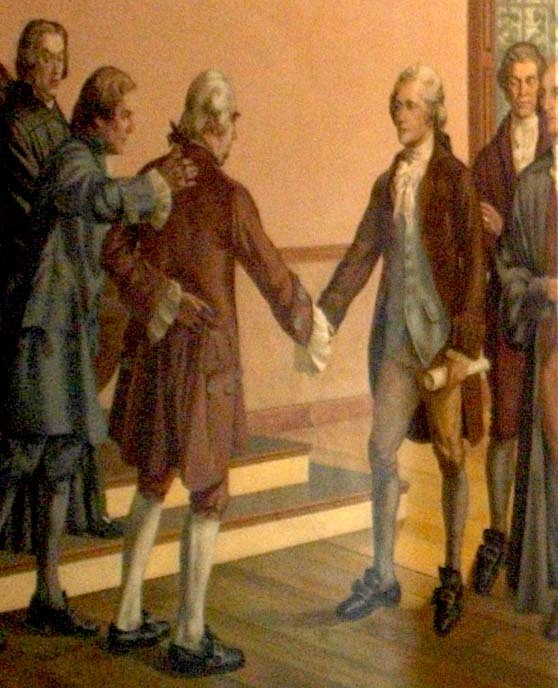 On the 25th of May, 1787, the delegates from the individual states reached a high enough number to constitute a quorum for their convention, and the Constitutional Convention commenced in earnest. At issue was how to change the Articles of Confederation, now that the country had lived under their governance for enough time to see what worked and what didn't. The initial goal of the participants was to move from a system of government in which there was a dominant legislative branch, into one with a three part government - the legislative, the judicial and the executive. It didn't take long to realize that the document they were working with - the Articles of Confederation - just didn't have enough elasticity to let it stretch into what they believed it had to become. The only path they could see to the government they envisioned was to throw out the old, and bring in new. 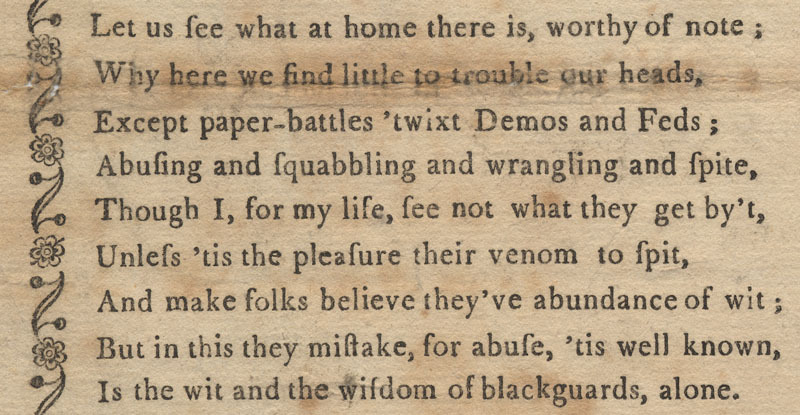 Of course, they'd had a little experience with that approach in 1776, and it had seemed to work pretty well then. But the views of the delegates were often at odds, and it took many months for them to reach any compromise at all. 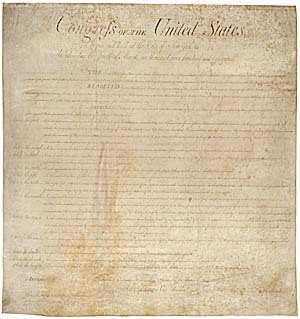 James Madison, Alexander Hamilton, Rufus King, Samuel Johnson and Gouveneur Morris were assigned to turn the agreements into a proper, literary document, which they did and, on the 19th of September, the documents were laid out for the inspection of the delegates, and for their signatures. Two of New York's delegates, John Lansing and Robert Yates, believed that they did not have the right to put their signature to a document that was so against what they had been sent by New York to do, that is, to revise the Articles of Confederation rather than to replace them, so Lansing and Yates returned to New York without signing the new Constitution - not a smart choice from the standpoint of History. The third New York delegate, Alexander Hamilton, believed that the new Constitution, while not ideal, was necessary, and he signed it. 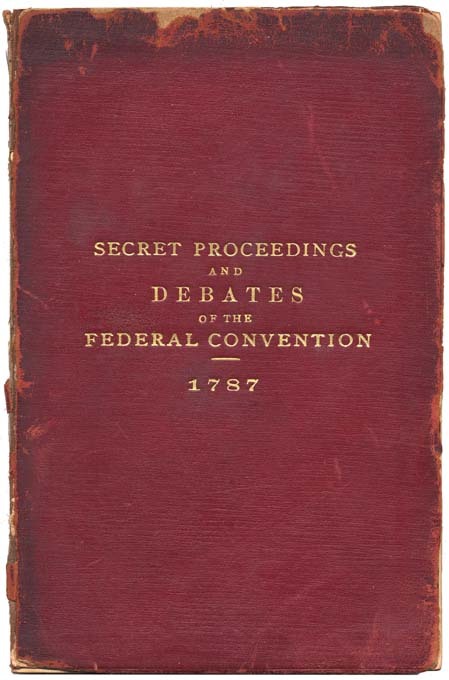 The proceedings of the Convention went on sale a week after the signing of the official Constitution, interest in what was going on in Philadelphia being so great. 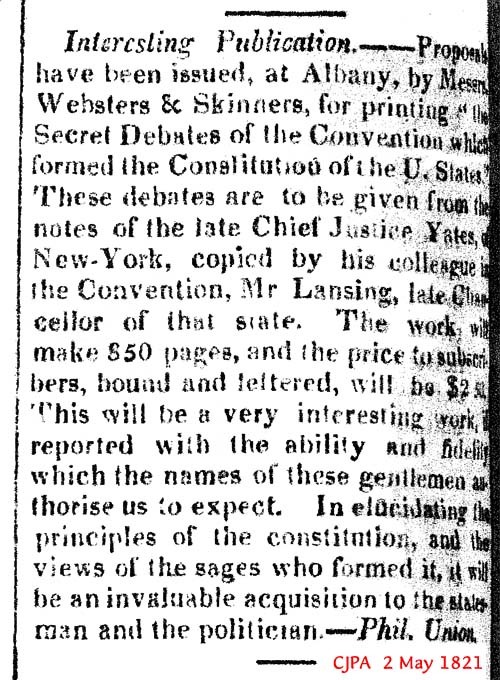 In 1821, after the death of delegate Robert Yates, John Lansing published Yates' notes of the Convention. It wasn't until 1939 that John Lansing's own notes were found with a descendant, and were published by Princeton University Press. 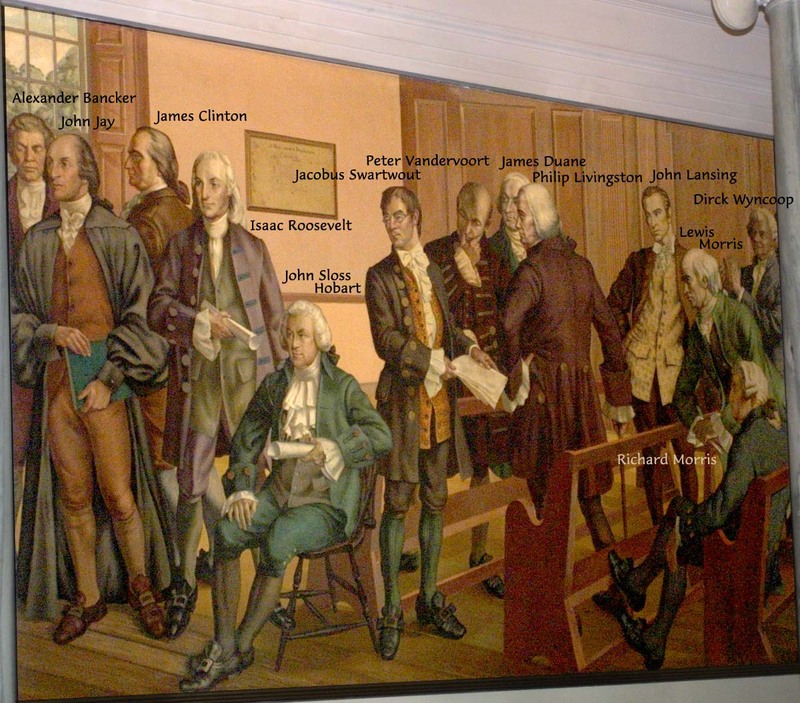 The philosophical division that occurred within the Philadelphia Constitutional Convention of 1787 led to a series of articles by various delegates explaining the reasoning behind their positions. On the side of those supporting the Constitution, John Jay, Alexander Hamilton and James Madison published a number of articles that were eventually labeled as the "Federalist Papers." They published in the Independent Journal, the New York Packet, the Daily Advertiser, and McLEAN's Edition, New York. And they all published under the same pseudonym - PUBLICUS. Of the 85 articles, most were written by Hamilton and James Madison. In his first article, Hamilton expressed his belief that those who were against the new Constitution were those selfishly concerned with protecting their own State power positions. John Jay wrote only 4 of the articles, his first one describing the seriousness with which the delegates approached their task, and the importance of what the states were now about to do in deciding whether to ratify the new Constitution, which Jay passionately believed was necessary for the continued existence of the newly independent country. 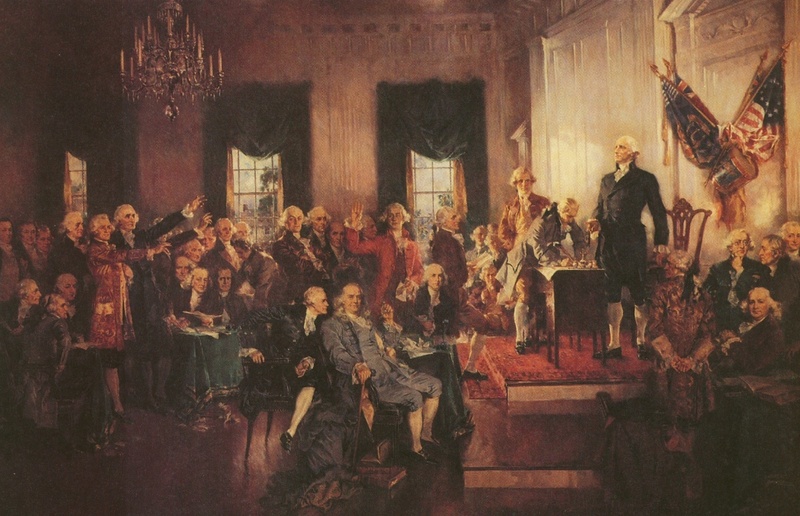 "This convention composed of men who possessed the confidence of the people, and many of whom had become highly distinguished by their patriotism, virtue and wisdom, in times which tried the minds and hearts of men, undertook the arduous task. In the mild season of peace, with minds unoccupied by other subjects, they passed many months in cool, uninterrupted, and daily consultation; and finally, without having been awed by power, or influenced by any passions except love for their country, they presented and recommended to the people the plan produced by their joint and very unanimous councils. Admit, for so is the fact, that this plan is only RECOMMENDED, not imposed, yet let it be remembered that it is neither recommended to BLIND approbation, nor to BLIND reprobation; but to that sedate and candid consideration which the magnitude and importance of the subject demand, and which it certainly ought to receive." The forces for the Constitution were labeled "Federalists" while the forces opposing the Constitution were labeled "Anti-Federalists." Other terms used at the time for the two sides were "Rats" and "Anti-Rats." 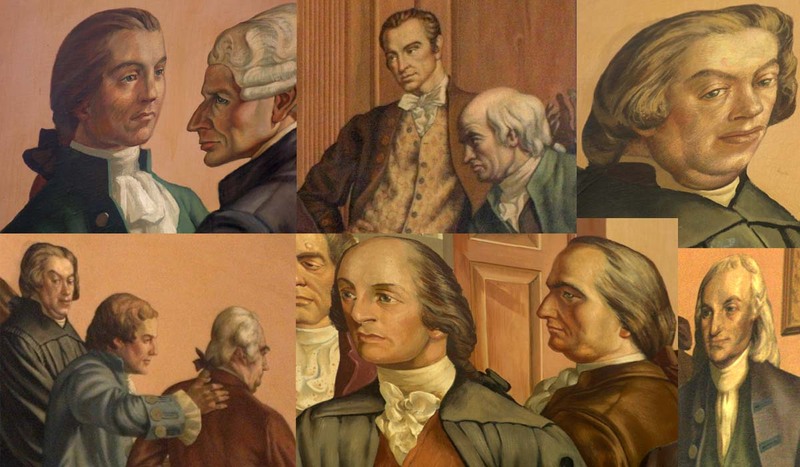 The Federalists were well organized while the Anti-Federalists had no central organization and were split on many issues. The dilemma for the Anti-Federalists was that they could neither accept nor reject the Constitution as they were strongly committed to both their state and the United States. They had strong commitments to the following: both the great American republic and the small states, both civic virtue and commerce, both private gain and public good. With a more cohesive organization, it may have been possible for the Anti-Federalists to defeat the Constitution as the vote in some of the states was very close. The points that the Anti-Federalists argued in 1788 are still relevant today. 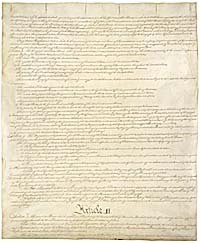 The main achievement of the Anti-Federalists was the agreement on the part of the Federalists to amend the Constitution with a Bill of Rights. 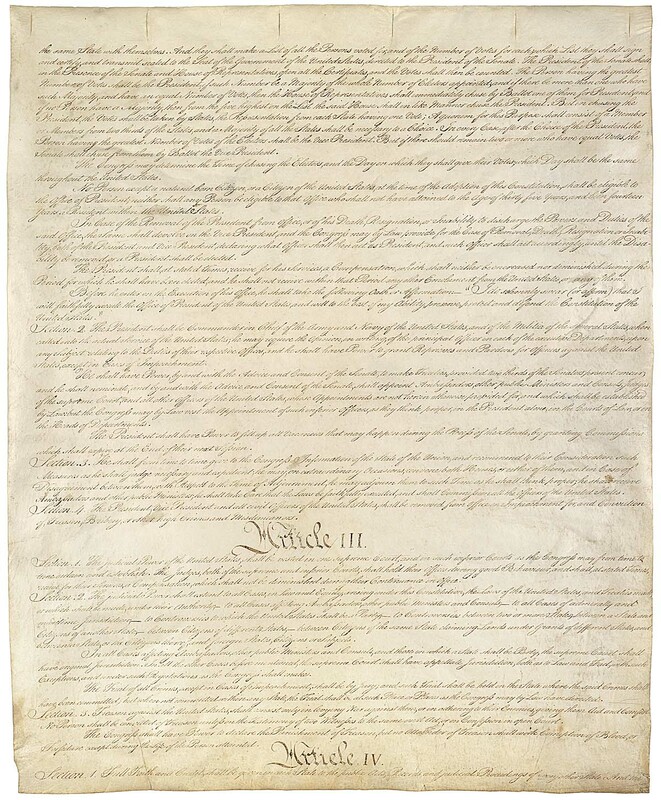 A systematic criticism of the proposed Constitution and full elaboration of anti-federalist though was provided in a series of articles published in New York in the Poughkeepsie Country Journal from November, 1787, through January, 1788, usually titled Letters from the Federal Farmer. The author has long been thought to be Richard Henry Lee, a Virginia delegate to the Continental Congress then sitting in New York, but many scholars later came to think the author was more likely to be Melancthon Smith of New York. It is also possible that the articles were written by both men in collaboration. While the Federalist was appearing, a series of essays arguing against them appeared under the pseudonym of Brutus, the Roman republican who killed Julius Caesar. They are thought to have been written by Robert Yates, a New York judge. In his first essay, Brutus tries to scare the pants off his readers with the importance a new Constitution will have for the country. 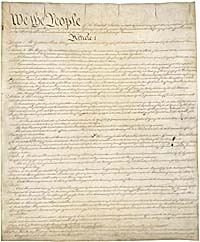 If the constitution, offered to your acceptance, be a wise one, calculated to preserve the invaluable blessings of liberty, to secure the inestimable rights of mankind, and promote human happiness, then, if you accept it, you will lay a lasting foundation of happiness for millions yet unborn; generations to come will rise up and call you blessed. You may rejoice in the prospects of this vast extended continent becoming filled with freemen, who will assert the dignity of human nature. You may solace yourselves with the idea, that society, in this favoured land, will fast advance to the highest point of perfection; the human mind will expand in knowledge and virtue, and the golden age be, in some measure, realised. 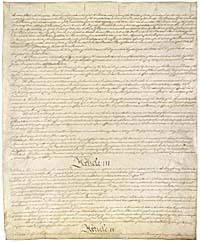 But if, on the other hand, this form of government contains principles that will lead to the subversion of liberty � if it tends to establish a despotism, or, what is worse, a tyrannic aristocracy; then, if you adopt it, this only remaining assylum for liberty will be shut up, and posterity will execrate your memory. 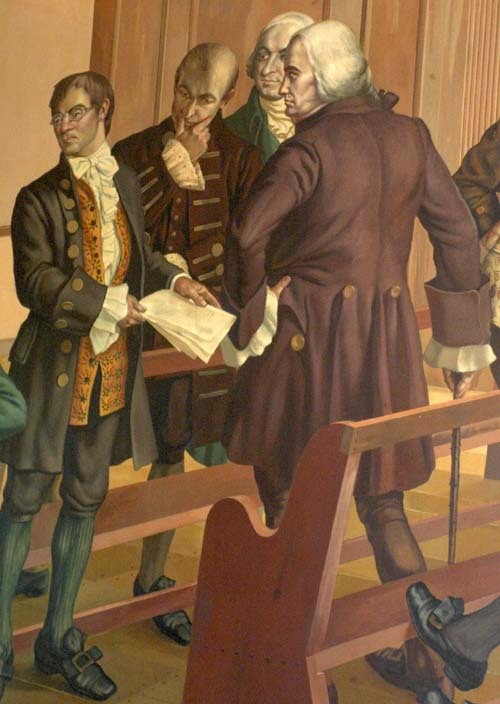 On June 17th 1788, 65 men met in Poughkeepsie at the Van Kleeck Tavern to decide whether New York would approve the Federal Constitution. Nicholas Power, the publisher of the Poughkeepsie Journal, was the reporter for the meeting. By the time the group met, 9 states had already given their agreement to the form of government which would replace the then existing loose confederation of States. 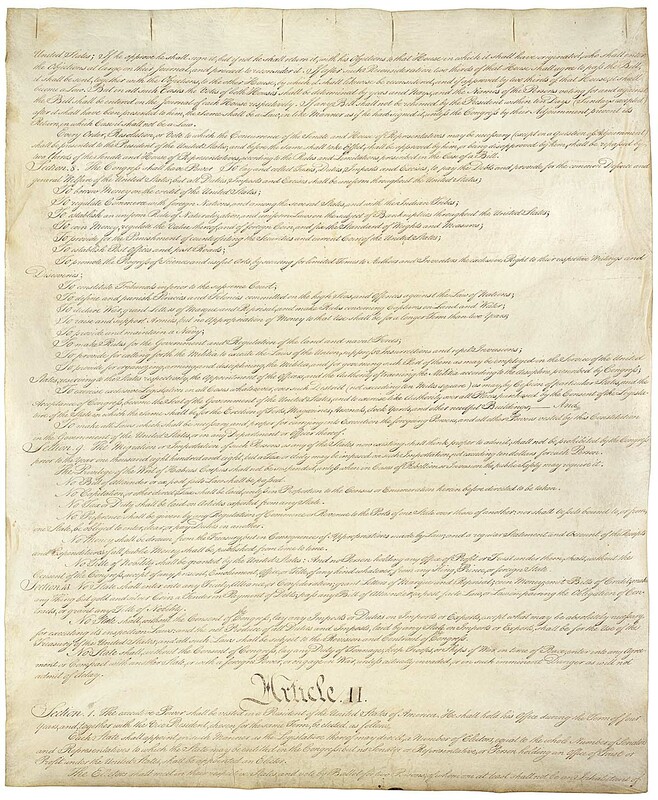 In the newly proposed Constitution, the Federal government was given a specific set of rights that had previously belonged to the individual states. Getting it right was a major worry. And because each state would lose powers to this new Federal Government, it wasn't a sure thing that the states would, in the end, all agree. 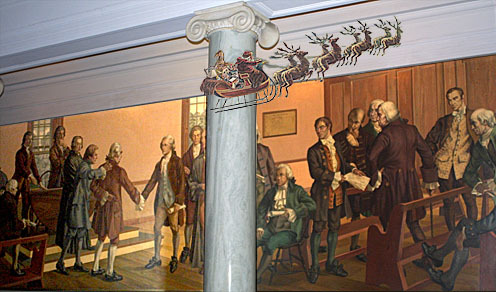 Some of the men who were going to vote for or against the Constitution in New York had been part of the Philadelphia convention where the Constitution was created, so they had a deep understanding of the issues that had been considered, and that had been balanced for competing interests. Alexander Hamilton had been, with James Madison, one of the original voices calling for a convention to examine the problems with the Articles of Confederation. 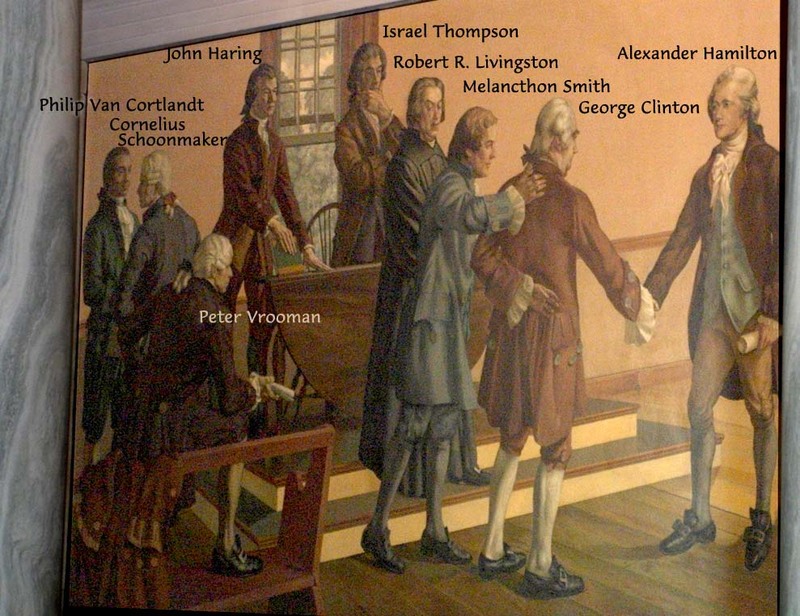 John Lansing and Robert Yates had left the Philadelphia convention without signing the Constitution, and they were here with George Clinton to protect the rights of New York State. Governor George Clinton had stacked the Poughkeepsie Convention with Anti-Federalists, so probability was that the Constitution would be rejected, as Clinton wished. But the arguments of the Federalists had weight with some of the Anti-Federalists and, in the end, Henry's brother Gilbert and several other Anti-Federalists, changed sides and voted to ratify the Constitution, asking only that a Bill of Rights be considered to companion the Constitution. 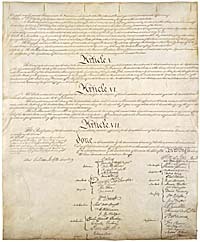 How many Americans of the present day realize that the State of New York, at the time of the adoption of the national Constitution, was radically and overwhelmingly opposed to entrance into the Union which the Constitution proposed, and was at last forced into the league of States only by the demonstration that the State would be isolated and cut off from its neighbor States if it did not join, with a tariff wall raised against it? It is indeed hard for New Yorkers to realize, as they live to-day under the Stars and Stripes, having forgotten what their State flag is, and being among the most zealous supporters of the Union, that their State led the opposition to the Constitution, and that but for the influence of a very few men in two other States, New York might have prevented the consummation of that "more perfect union." The contingency that prevented the State from dismembering the Union at its start was a narrow one, but it had been provided for. Hamilton and the Federalists had laid their plans well. They first furnished the Southern States, and the smallest States in the North, with an interested reason for joining the Union. They gave the men of the South representation on their slaves. They made the little States equal with the great States in the Senate. 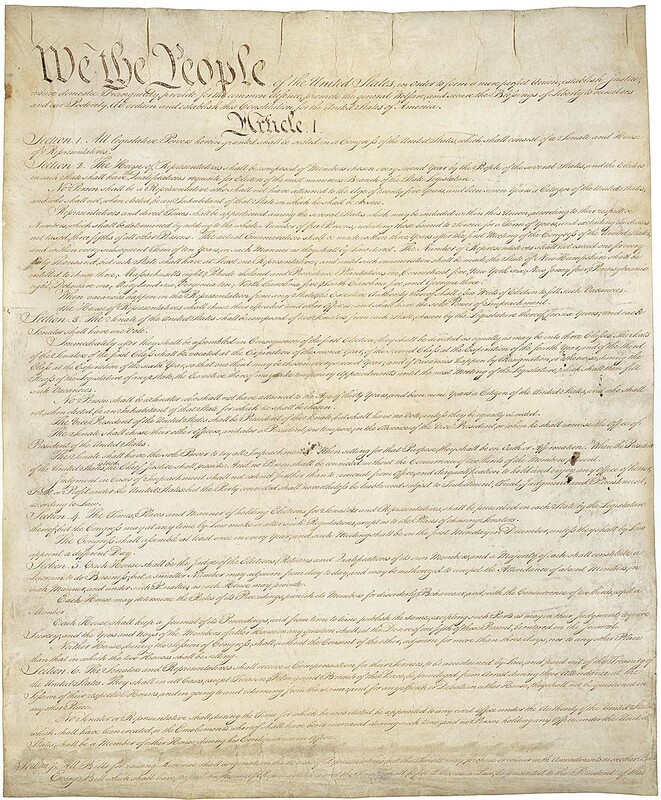 Then they provided that when nine States had ratified the Constitution it should become effective, and a confederation should be formed by those nine States, if there were no others. Then the ratifications began. The game was to get nine States. Little Delaware said "Yes" first. Franklin and Wilson had a firm hold upon Pennsylvania, and that State entered next under the pressure they exerted. New Jersey, Georgia, Connecticut, Massachusetts, Maryland and South Carolina followed. This made eight States. Then things stuck fast. Would there be a ninth? Two thirds of the delegates in the convention of New York were firmly opposed to ratification. They believed the Constitution meant an end of the liberties of the States. They saw a royal throne looming up for America. They feared, they said, a great central power which should oppress and overtax the people of the States. Governor Clinton led the opposition to ratification. Hamilton's able arguments had no effect. New York would not come in. All the remaining States were believed to be also opposed. 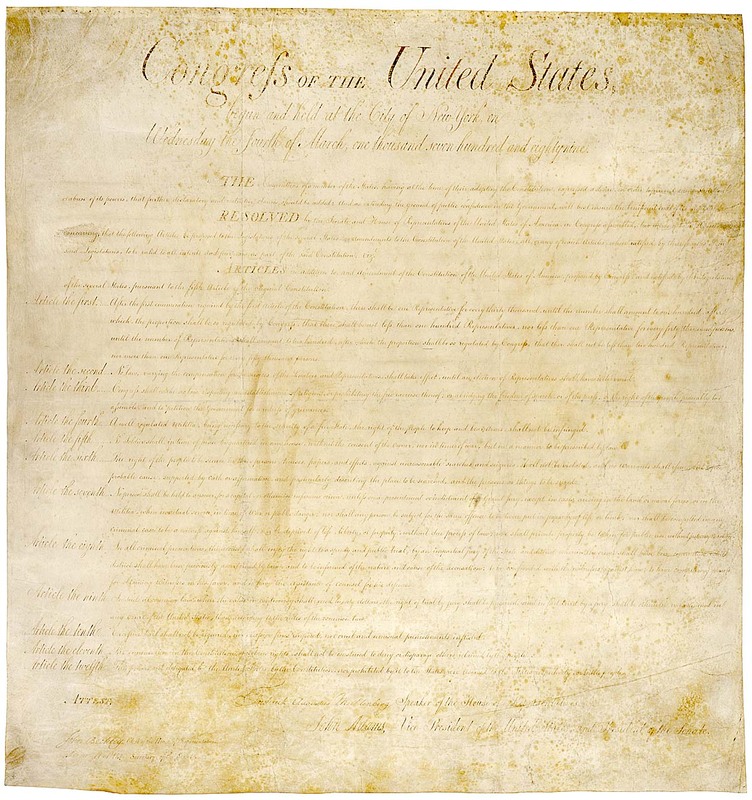 New Hampshire had refused to comply with the requisitions of the Confederation; why should it look with more favor on the Constitution? In Virginia, Patrick Henry led the opposition to ratification with impassioned eloquence. Richard Henry Lee, William Grayson, George Mason and James Monroe, all great men in the State, were unalterably opposed to ratification. It certainly looked black for the Union. But in this moment of apparent triumph, while the New York convention was in session, Governor Clinton and his party in the convention heard surprising news. 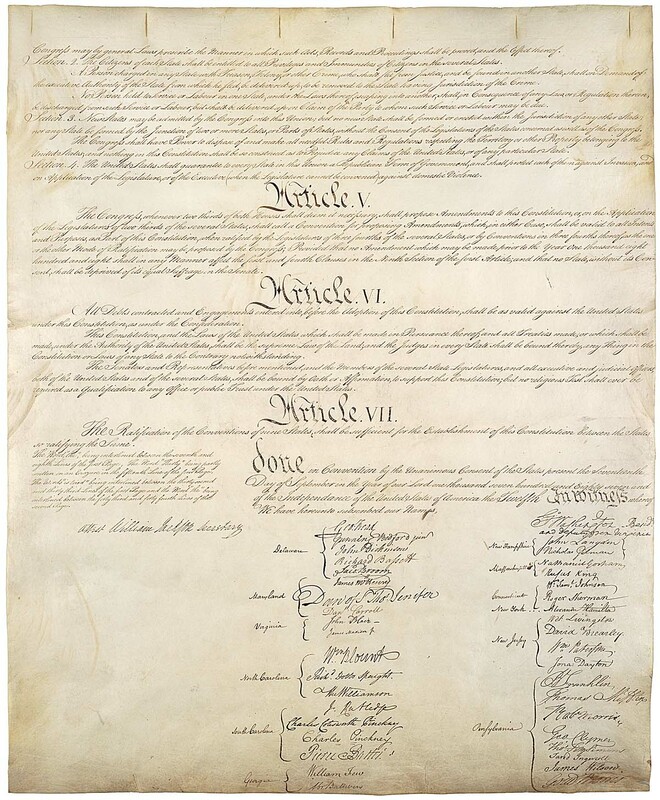 New Hampshire, under the influence of Massachusetts and of the wiser counsels of some of its own leaders, ratified the Constitution on the 21st of June, 1788--more than nine months after the adoption of the instrument by the Constitutional Convention at Philadelphia. This event put a new face on the situation in New York. The Union was now decreed. If New York did not enter it, she must be prepared to stand alone, as an independent nation. Could she do that? The new Confederation would hem her in on both sides. To it would belong New Jersey, which flanked her only seaport on the west, and Connecticut and Massachusetts, which walled her in on the east. The shape of the State adapted it very badly indeed for an independent position. Moreover, influences were known to be at work which would precipitate a hostile tariff against the States which remained out of the Union. A few months later such a tariff was actually adopted against Rhode Island, which was treated as a foreign country in the levying of duties on imports. New York could not stand that. Gilbert Livingston and a few others changed their votes under a distinct announcement that the pressure of "sister States" had made it impracticable to continue the opposition. But even at the last, the Constitution was ratified by a majority of only two in a vote of sixty! Gilbert Livingston held the fate of the State in his hands, and he, though pledged against the Union, put New York into the Union by his vote. One vote would have kept New York out. We have noted the fact that New York's position was unfavorable for an attempt at independence. But the fact that the voice of but one man prevented the attempt shows that the other opposing delegates were not much afraid of making the leap. Supposing Gilbert Livingston had voted the other way, and the vote had been thirty-one to twenty-nine against ratification, instead of the same figure in its favor? What would have resulted? Let us see. Two other States were radically opposed to the Constitution--Rhode Island and North Carolina. Very likely they would have been glad to form a defensive alliance with New York. Virginia ratified a few days after New Hampshire, but she might easily have retracted her ratification, for she had no heart in it. With Virginia, the malcontent States would have had (census of 1790) a population of 1,550,306, against 2,378,908 for the remaining colonies, including Vermont, which was not yet in. This would not have been an utterly hopeless foundation for a new league, constituted on the easy terms upon which, and upon which only, these States were willing to enter the Union. The want of contiguity of territory would have been the worst objection to the formation of the league. But the real effect of New York's self-exclusion, so narrowly prevented, would have been a negative one. It would have prevented all cohesion in the new Union. It would have driven a wedge straight through the new republic, from west to east. Worse, it would have erected secession into a principle from the start. Ere long we should have had at least three republics instead of one, and probably more. Politically we should have been what Central and South America are now. Real progress would have been barred. Wars would have been probable between the States. European political influences would have penetrated the weaker States, or alliances of States. In short, the "American idea," government of the people by the people and for the people, would probably have been stillborn. By his change of vote, Gilbert Livingston signed the death warrant of the principle of secession. Not only did he set going the unifying influences which prevailed over State sovereignty, but he decreed the Empire State, destined to be a bulwark against disunion. Henry's 1st cousin, and the brother of the Gilbert Van Cortlandt for whom Henry is waiting in the tavern when he writes Sarah from Montgomery's camp. Gilbert died 12 November 1786, and Henry rewrote his poem on the death of Sarah for Gilbert. Philip is the son of Henry Sr.'s sister Joanna and her husband, Lt. Governor Pierre Van Cortlandt. Henry was appointed Coroner for Dutchess County with Israel Thompson on 1 occasion. Thompson was an Assessor of County Taxes in 1774, a position that Henry held later. Thompson, Israel of Albany County, N.Y. Member of New York state assembly from Albany County, 1781-82, 1784-85. Chancellor Robert R. Livingston, Jr.
Robert R. Livingston, Jr., Henry's 2nd cousin, was the son of Robert R. Livingston and Margaret Beekman. Margaret was the daughter of Colonel Henry Beekman, the brother of Henry's grandmother, Cornelia Beekman. Robert R. Livingston, Sr. and Henry Livingston, Sr. were both put into the Dutchess County seat of the New York Colonial Assembly by Colonel Henry Beekman, who controlled the seat. Henry Sr. was also the land manager for his uncle Beekman. The close relationship with the Beekmans continued into Henry Jr.'s generation, and he would stay with his granduncle when he would visit New York City. Another common visitor at her grandfather's home was Janet Livingston, the Chancellor's sister, and the wife of Henry's commander, Major General Richard Montgomery. .
20 Apr 1812, Washington D.C.
Related by Poughkeepsie marriages, Henry went to war under the governor's brother James, and Henry's uncle Pierre Van Cortlandt is Clinton's Lt. Governor. Clinton is married to Cornelia Tappen, the sister of Dr. Peter Tappen, who is a friend of Henry's, and Tappen is married to the sister of Henry's sister-in-law (Crannell sisters). It is for Tappen's son's death that Henry writes a poem. Hamilton is married to Elizabeth Schuyler, the daughter of General Philip Schuyler, whose command was taken over by Montgomery for the expedition to Canada. When Henry fell ill on the way home, he stayed with the General's family. The General was Henry's 2nd cousin, and Elizabeth his 3rd. When Hamilton was killed in the duel, Henry must have saved the newspaper accounts, since they're still in the Thomas Collection. Colonel Gerrit G. Lansing led one of the charges under Hamilton at Yorktown. Lansing married Mary Antill, whose sister had been left as a baby with the Hamiltons when the baby's mother died, the Hamiltons being friends of Colonel Edward Antill's. John Jay was Henry's 3rd cousin, married to Sarah Van Brugh Livingston, Henry's 2nd cousin. Sarah was the daughter of Governor William Livingston, the best friend of Henry's father-in-law, Rev. Dr. Noah Welles. John Jay was the great grandson of Stephen Van Cortlandt, the husband of Gertrude Schuyler. Henry was the great grandson of Alida Schuyler, the wife of Robert Livingston, 1st Lord of Livingston Manor, and Gertrude Schuyler's sister. In Sep 27 '79, John Jay appointed Minister Plenipotentiary to Spain. Before he left, he came to visit Henry. Dec 8 '81 Letter from John Jay in Spain to Egbert Benson asking that Jay's son Peter be boarded with Harry Livingston. Apr 19 '98 Supports John Jay and Van Rensselaer for Governor and Lt. Governor of New York, against Henry's cousin, Robert R. Livingston; Henry's is the first signature in the list. Jay won, and appointed Henry Principal Assessor Apr 17 '99. James Clinton was Henry's Colonel in the 3rd New York, and letters of Aug 19 '75 and Oct 22 '75 still exist. James was the brother of Governor George Clinton, and the father of Governor DeWitt Clinton. Jacobus Swartwout was the son of Abraham Swartwout and Tryntje Van Kleeck. There is some confusion over the first name of Henry's sister Cornelia's husband - either Myndert or Lawrence Van Kleeck, but there is probably a family connection here, since Abraham Swartwout, either Jacobus' brother or father, appears frequently in Henry's Day Book. Jan 21 '73 "Abm. Swartwout Crdt by L1..0..9 in full for Blacksmith work"
Aug 27 '73 "Joseph Higgins bro't a Cow to pasture at 4 sh per month. Abraham Swartwout is to pay for all her keeping." Sep 13 '73 "Abraham Swartwout Crdt by Shoeing Black horse before new shoes"
Oct 18 '73 "Abraham Swartwout Crdt by laying on new shoes before on Aaron mare"
Aug 7 '75 "Abraham Swartwout Crdt by laying on pair shoes on Hero 0-1-0"
Feb 26 '76 "Abraham Swartwout Dr to a pamphlet on military exercises 0-3-0"
Henry was appointed Coroner for Dutchess County with Jacobus Swartwout on 3 occasions. 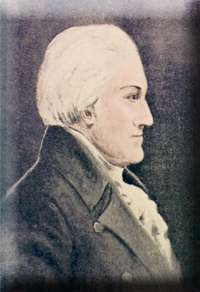 James Duane was the husband of Henry's 2nd cousin, Mary Livingston, the daughter of Colonel Robert Livingston, the 3rd Lord of Livingston Manor. Henry was a visitor at Livingston Manor. Philip was Henry's 1st cousin, once removed, and the brother of Colonel Robert Livingston, the 3rd Lord of Livingston Manor, Governor William Livingston, the best friend of Henry's father-in-law, Rev. Dr. Noah Welles, and Sarah Livingston, the wife of Maj.Gen. William Alexander, Lord Stirling. Henry's brother, Rev. Dr. John Henry Livingston, married Philip's daughter Sarah. Chancellor John Lansing was the brother of Colonel Gerrit G. Lansing, the father-in-law of Henry's great granddaughter, Sarah Breese. Sarah's brother-in-law, Judge Richard Ray Lansing, was the second husband of Henry's daughter Eliza. John Lansing's daughter Sarah married Edward Livingston, the son of Philip Henry Livingston and Maria Livingston, the granddaughter of Colonel Robert Livingston, 3rd Lord. Philip Henry Livingston was the son of Philip Philip Livingston, the son of Philip the Signer. Philip Henry Livingston was also the brother of Sarah Livingston, the wife of Henry's brother, Rev. Dr. John Henry Livingston. Lewis Morris was married to Mary Walton, Henry's 2nd cousin, once removed. Mary Walton was the daughter of Jacob Walton and Maria Beekman, Maria being the daughter of Dr. Gerardus Beekman, the brother of Henry's great grandfather, Hendrick Beekman. Lewis Morris was the nephew of Edward Antill and Anne Morris, the grandparents of Mary Antill, the wife of Colonel Gerrit G. Lansing, which makes Lewis Morris the 1st cousin, 3x removed of Manette Antill Lansing, the wife of Charles Walker Morse, Samuel Finley Breese Morse's son. Gilbert Livingston was Henry's brother. Zephaniah Platt was the father of Henry's brother-in-law, Jonas Platt. Ezra Thompson was the father of Henry's son-in-law, U.S. Supreme Court Justice Smith Thompson, whose first wife was Sarah Livingston, the daughter of Henry's brother Gilbert. And what was Henry's opinion of all this? Well, he had friends who were Federalists and friends who were Anti-Federalists, and he received patronage jobs from both sides of the aisle. So it seems reasonable to look at what Henry wrote in Carrier Addresses.